PMP® i.e. Project Management Professional, is an industry-wide accepted and in-demand credential that hones the project execution and management skills of trained candidates. Multisoft Virtual Academy offers PMP® online training that builds the ability to successfully complete, lead and direct projects. This certified training on PMP® concentrates on the entire project management cycle, which includes project initiation, plan, execution, control and closure. PMP® Certification is valuable because there is an increased demand for skilled and certified project management professionals. The training is appropriate for existing Project Managers or those with project-related experience who are looking to strengthen their planning, execution and management skills. You will earn 35 PDUs after attending online PMP® training with Multisoft Virtual Academy. After attending online PMP® training with Multisoft Virtual Academy, you will earn 35 PDUs that make you eligible for undertaking the PMP® certification exam. PMP® (Project Management Professional) is a globally recognized and industry-oriented credential for Project Managers. It’s under the aegis of PMI®, the premium project management body. PMI® (Project Management Institute ) is world’s largest not-for-profit membership association for the project management profession. Making project indispensible for business results, PMI® serves organizations and practitioners with standards that describe good practices, globally recognized credentials that certify project management expertise, and resources for professional development, networking and community. PMI® offers seven project management certifications and PMP® is its star certification held by nearly 650, 000 practitioners worldwide. If you’re a less experienced project practitioner looking to demonstrate your commitment to project management, the CAPM® certification is right for you. Comprising 200 mutually-exclusive multiple-choice questions, PMP® Certification exam is designed to test PMP® professional’s level of understanding of how to apply Project Management practices to achieve project objectives. What are the eligibility criteria for PMP® Certification Exam? What is CAPM® (Certified Associate in Project Management)? A valuable entry-level certification for project practitioners, CAPM® is drafted and initiated for those who possess very little or no project management experience at all. The CAPM® Certification demonstrates a professional’s complete understanding of the fundamental knowledge, processes and terminology of an effective Project Management. What is the eligibility criteria for the CAPM® Certification Exam? As compared to the PMP® Certification Exam, the eligibility criteria for CAPM® is simpler since the exam is designed for entry-level professionals, or professionals who have very little project management work experience. Some of the qualification credentials that are a must-have include a secondary school diploma (high school diploma) or any global equivalent credential, to apply for the CAPM® certification exam. What is the CAPM® Certification Exam Structure? As prescribed by PMI®, the total number of multiple choice questions in the CAPM® certification exam is 150, in which 15 questions are pretest questions. In the total score, marks for these pretest questions will not be added. Used to test the validity of future examination, these 15 questions will be random, and participant will not be able to differentiate these questions from the real score able questions. Allotted time for this examination is three hours with no scheduled break. What is the Passing Score for CAPM® Certification Exam? Although PMI® does not disclose the passing score for CAPM® but the common perception is that if you select correct answers for 61% of the questions, then you may pass the exam, still truthfulness of this claim is not guaranteed. I am an experienced Project Manager. Why should I get PMP® Certified? 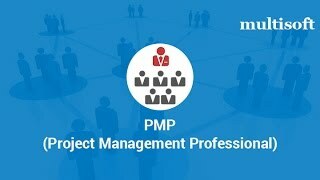 PMP® is an in-demand and globally acknowledged credential that hones the project execution and management skills of experienced Project Managers. How can I prepare for PMP® Certification exam? Before starting your preparation for the exam, please check your eligibility for the same. Once you have corroborated the above, enroll yourself with a PMI® Authorized Training Partner like Multisoft to earn the required PDUs. The mock tests and assessments are the essential ingredients since these will help you to know the PMP® certification exam pattern. Our trainer will help you with the application form. What counts as a “Contact Hour” of education for PMP®? A Contact Hour is referred as one hour of specific instruction that addresses learning objectives in Project Management. PMI® Component organizations and PMI® Registered Education Providers are pre-approved to provide contact hours. Multisoft Virtual Academy ranks in the same column of being a PMI® Registered Education Provider and hence, credits all PMP® trainers with necessary pre-requisites to meet the eligibility criteria for Certification Exam. What counts as “Project Manager Experience” for PMP®? Well, this is the total time that you have spent directing, leading or even executing projects. When calculating the total hours of experience all hours spent leading or directing projects, including overlapping projects, can be counted. While calculating the number of months of experience, any month in which you lead multiple projects only counts as one month. How should I prepare for PMP® Certification Exam? If you are a working professional and searching for the right resources – look no further! If you still have some queries, Write to info@multisoftvirtualacademy.com or make a call @ 8130666209. What is PMP® course exam fee conducted by PMI®? A The PMP® exam fee for a PMI® Member is USD 405 and for a Non Member it is USD 555. PMI® membership fee is $ 139 (US). Please refer to official PMP® handbook on PMI® website for further details. Can I really crack the PMP® Certification Exam in one go? Yes you can! Multisoft Virtual Academy’s 32 hours of Instructor-led Live Online Training ensures expert mentorship by certified trainer and enables you focus on your study material thoroughly. You may also test your level of knowledge and proficiency via module-wise assessments and certification-based mock tests available with the academy. The 24/7 e-learning access lets you study at your own pace even after the workshop has ended. All of the above – expert mentorship, simulated mock tests and self-study can get you through in the first attempt. PMBOK® that is Project Management Body of Knowledge® is a complete segment of processes and knowledge areas accepted as best practices for the project management profession. Globally recognized as a standard (ANSI/PMI® 99-001-2008 and IEEE 1490-2011), PMBOK® provides the fundamentals of Project Management, irrespective of the type of project be it software, construction, engineering or automotive. What is New in the PMBOK® 5th Edition? Launched in January, 2013 - four years after the 4th edition, the PMBOK® Guide 5th Edition is an addition of a new knowledge area – “Project Stakeholder Management”. Four planning process added to the variegated knowledge areas such as plan scope management, plan schedule management, plan cost management, and plan stakeholder management. Is PMBOK® sufficient for my preparation? Undoubtedly, PMBOK® is the basis of all what PMI® defines under the scope of Project Management. It is inclusive of all standard knowledge areas and processes that encompass PMP®. However it is not always easy to understand the principles mentioned therein. That’s why PMI® also recommends contact hours of professional development at one of its Recognized Education provider like Multisoft. The training puts you in contact with the certified PMP® trainer who decodes the PMBOK® for you in a better way. Therefore, in addition to PMBOK®, you must study from another resource. Apart from the study, you also need to practice as per the PMP® exam pattern. Read this article to get an answer to your question in an elaborated way. Is PMP® Online Training, The Right Way To Certification Exam Preparation? What is the passing score for the PMP® examination? In 2006, PMI® made a decision to no more publish passing scores for its exams. Moreover it was in the year 2007 that quantitative elements were removed from the post-exam review for test candidates. The passing score is estimated to be in the range of 61% and 75%. PDUs (Professional Development Units) are the measuring units used by PMI® to quantify approved learning and professional service activities. Each project or professional development activity yields one PDU for one hour spent engaged in the activity. As a credential holder, you need to understand that PMI® might request you to produce the documentation in case of audit. Explain the PDU Categories for PMP®? If you want to maintain your PMP® credential for more than three years, it’s must for you to earn 60 PDUs every three years to complete the CCR cycle. There are variegated ways in which you can earn these PDUs. While some categories have restricted the number of PDUs that you can earn, others do not have such limitations. Each professional development activity yields one PDU for one hour spent engaged in the activity. Six PDU categories fall into two divisions—Education and Giving Back to the Profession—as tabulated below. How Many PDUs are required For PMP® Certification Renewal? Project Management Professional (PMP®) certification requires 60 PDUs per credential renewal cycle which is 3 years. How to Get Free 60 PDUs for PMI®’s PMP® Certification Renewal? After every three years, a certified PMP® Professional needs to re-new the credentials. Since PMP® Certificate is valid only for three years so to renew it, you have to report 60 PDUs to PMI® by the end of third year, else your certificate might be suspended and then after one year it will be expired. For detailed information, refer PMI®’s suggestions on the same @ http://www.pmi.org/Certification/~/media/PDF/Certifications/PDU-Category-Structure-6-pager-FINAL-Aug-2013.ashx. I earned my 35 contact hours few years back. Is it expired or can it still be used? PMI® states that 35 contact hours, once earned should be used within 3 years. As stated by PMI®, all eligible applications are subject for audit. Candidates are permitted to sit in the exam only after the successful completion of the audit. Submission of an application indicates agreement to comply with audit terms. Please notify that although the selection process for audit procedure is random, PMI® does reserve the right to select any candidate manually to be audited at any point of time, including after the credential has been bestowed. Once a candidate is selected for audit, he/she will receive an e-mail notification from PMI® prescribing all the details along with the necessary details on how to comply with the audit terms. What will happen if I fail in a PMI® audit? This can be a quite distressful situation. Always provide correct and legitimate information to PMI® at the time of filling out the PMP® examination application form and, you will never fail the PMI® audit. You have to check the prerequisites very closely and see if you meet the eligibility criteria. In case you fail, you will certainly get your money back with $100 deducted for the processing fee by PMI®. What will happen if my eligibility expires and I have not taken the PMP® exam? Application of a candidate is valid for 2 years from the date of approval. In case, the eligibility gets lapsed, you need to re-apply by submitting a short application form within 1 year of eligibility expiration date. Candidate needs to include the full certification fee as payment for the examination, while submitting the short or a full application form. How many questions are there in the PMP® certification exam and how much time do I get? PMP® exam comprises of 200 multiple choice questions. Each question needs to be answered correctly. You will get four hours to answer these questions. Out of these 200, 25 are pretest questions, randomly placed throughout the exam and are used for research purposes. These questions are not evaluated while computing exam results. You will only be evaluated on the basis of 175 questions. To pass the PMP® examination, you must answer a minimum of 106 of the 175 scored questions correctly. How would a PMP® PDU certificate from Multisoft help me? Multisoft is a Registered Education Provider of PMI® (REP – 3648). Once the training completes, participants will receive a certificate of 35 contact hours of Project Management education that forms an essential pre-requisite to apply for PMP® exam. Will Multisoft provide me with PMP® Certification? Participants are provided with the PMP® Training Certificate from Multisoft which will suffice as the prerequisite for applying for the PMP® certification exam. For obtaining PMP® Certification, the candidate needs to schedule and nail the certification exam drafted by PMI®. Does the PMP® course fee include the PMP® certification fees? No, this fee is for your Exam Preparatory Workshop only. Multisoft assists you in filling up the application form and all the pre-requisites required for the certification. The certification fee is a third party transction and needs to be done by the candidate only. Is the trainer PMP® Certified? In case I want to take PMP® Certification Exam 6 months later, how can Multisoft help me? Multisoft provides you with the entire class recording, a complete data bank for practice tests, certification-based mock tests and module-wise assessments. For further details on the same, you may write to us @ info@multisoftvirtualacademy.com. How can I keep myself up-to-date with all PMP® developments? What learning elements are included in PMP® course? Projects, Processes and Projects: How You Do the Job. The Process Framework: It All Fits Together. Integration Management: How the different parts of project integrate with each other. Scope Management: Gathering requirements, defining scope. Time Management: Learn how to create WBS, Network diagrams, develop schedules. Cost Management: Determine costs with Project cost, Management cost, contingency costs etc. Learn earned value techniques. Quality Management: What is Quality control and Quality assurance? How this is applicable to the projects. Human Resource Management: How to acquire, develop and manage project teams. Communications Management: Meeting the project reporting requirements etc. Risk Management: Understand what are known unknown & what unknown unknowns are. How to manage them. Procurement Management: Determine what is to be purchased, how to be purchased, when to be purchased etc. Stakeholders Management: How to manage stakeholders? How can I check that I am well-prepared and set to nail the PMP® Certification Exam? Assessments, mock tests, assignments and multiple practice questions are available in the data bank to ensure that our students ace in the very first exam attempt. These mock tests are time-based that are available on the Learning Management System (LMS). At the end of each test, the LMS provides students with the correct answers and their explanations. Moreover, a detailed report shows the complete analysis of your proficiency and areas of development. Attempt a sample assessment here or write to us at info@multisoftvirtualacademy.com to get a free mock test. What learning benefits can you get from Multisoft Virtual Academy’s Training Program? Why should I choose Multisoft Virtual Academy for PMP® certification exam preparation? Multisoft Virtual Academy is a 360° learning solution that is a boon to learning enthusiasts in the modern world. The academy is visualized as a large basket of technologies where all the elements of learning are put together; however leverage to define the process is in the user’s hands, according to his/ her convenience. Moreover, the LMS (Learning Management System) provided by Multisoft Virtual Academy is its USP that makes it stand out among others. Not to forget, Multisoft has the Authorized Training Partnership with leading organizations, including Microsoft®, Oracle®, Cisco®, Intel, Red Hat, PMI®, IIBA®, Siemens, ISTQB®, Bentley and many more. If none of our public batch timings suit you, opt for our One-on-One Mentorship program and attain undivided attention from our experts. Yes, we do have 24*7 support team that answers all your queries and doubts. Additionally, we also provide you with the recorded class videos, 10 assessments and 5 full length mock tests in your LMS (Learning Management System) for exam preparation.